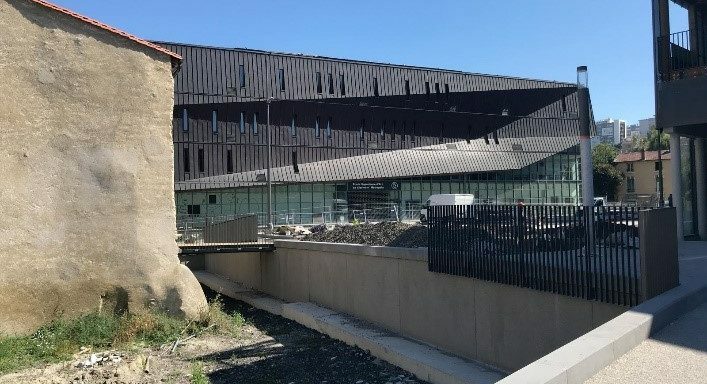 The project concerns the requalification of the Kessler-Rabanesse district in CLERMONT-FERRAND (63). 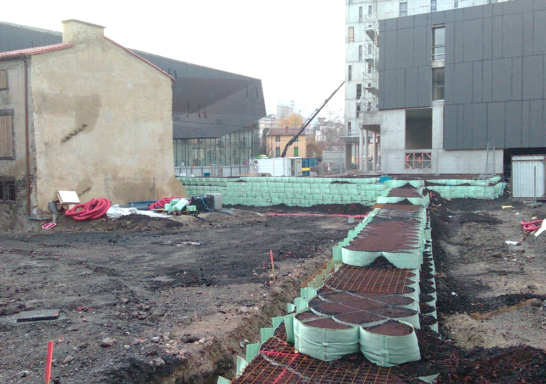 The work includes the construction of two buildings near a listed structure (the Rabanesse Tower). 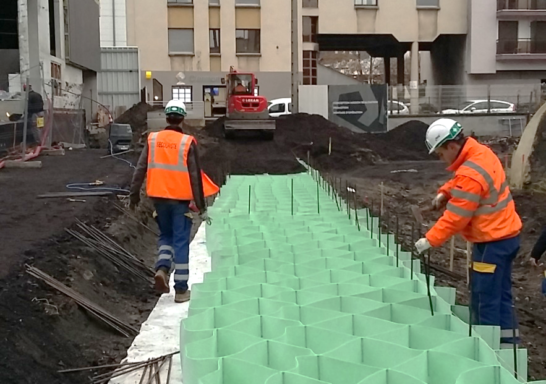 The uneven ground and pedestrian areas are supported by a soil structure reinforced with M3S® geotextiles. On the front panel, a prefabricated slab facing rests on a sill at the foot of the structure and does not take up any earth pressure (the latter being supported by the M3S® support).